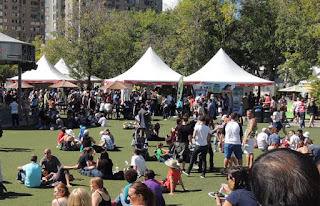 Kitchen Help Needed for Upcoming Food Fair - Sep 9th to 13th ~ The Toronto Hare Krishna Temple! The Toronto Hare Krishna Temple is participating in a very large festival where we expect to serve 1000+ plates of prasadam (spiritualized, delicious vegetarian meals) for three days, nonstop. The festival is the annual Veg Food Fest, taking place at Harbourfront Centre from September 11-13, 2015. This weekend will be very busy in the temple kitchen!